The boys are back! And to commemorate we’ve got a “Road So Far” montage set to Aerosmith’s “Back in the Saddle.” It’s very fitting. And watching the condensed version of the first half of the season makes me realize that this show continues to rock. Fans may have been wondering how all the pieces were going to fit together, but I think the picture’s finally coming into focus and I can’t wait to see how it all plays out. 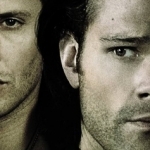 As is the Winchester way, each member seeks to sacrifice himself for the other and Dean’s at it again. Sam’s back, that’s all he’s focusing on, despite everyone else around him insisting that this was a very bad idea. Even more of a bad idea are the secrets and lies Dean is carrying around to protect Sam from learning the truth of the past year and a half. Sam’s amnesia allowed for a convenient way to keep the wall up in Sam’s mind. Don’t scratch the wall, Sammy! But secrets cannot be kept forever, so it was only a matter of time before Sam found out. What did surprise me was the way Cas factored into it all. "If you wanted to kill your brother you should have done it outright." 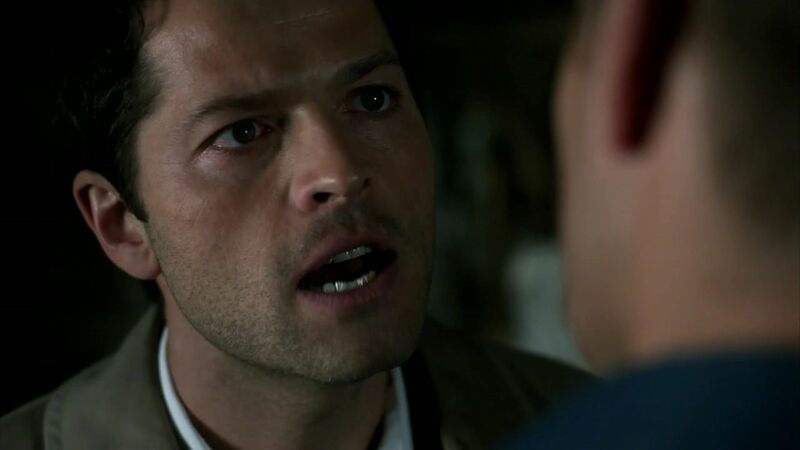 Castiel, who shared a deeper bond with Dean by his own admittance, was furious at Dean over his decision to re-soul Sam. I mean, I’ve seen him angry before, but this was way past that. And I can understand his point, considering how messed up Sam’s soul actually is. It feels like it’s been skinned alive. That’s not a good feeling. I shudder to think what will happen to Sam when that wall does finally come down. And just as angry as Cas is with Dean, he’s quite the opposite with Sam. He’s happy that Sam’s up walking and talking, to the point where he wanted to hug him. That awkward avoidance was so very cute. And it was a tricky maneuver on Sam’s part to get Cas to tell him the truth. Which was better: knowing he suffered in Hell for over 150 years or knowing his body was wandering around without a soul for a year and a half? In Sam’s mind, it was probably just as bad either way. "And you can say it wasn't me, but... I'm the one with the Zippo in my pocket, you know?" 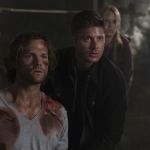 Sam and Dean got to have a lot of great brother time this episode. 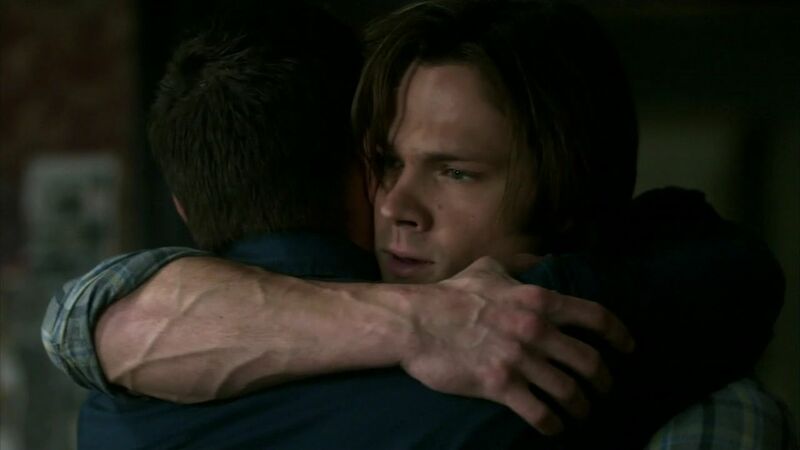 There was the hug we got cheated out of during the premiere, there was the heart-to-heart when Sam admitted he needed to make things right from his soulless wanderings, and there was honest casework being done with both brothers again. What struck me about this episode and the state that Sam’s in is that this is Season One Sam. I knew we were going retro, but this is Sam stripped down to his most basic. He’s not carrying around this eternal march towards evil that we’ve seen building for five years. 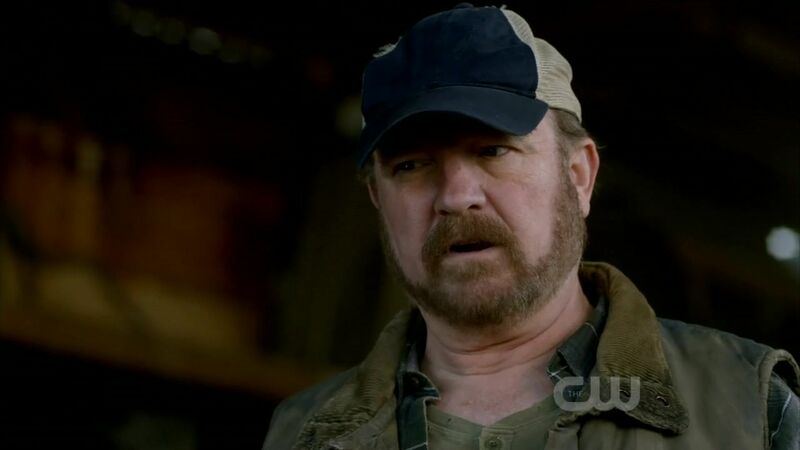 He’s Sammy, brother to Dean and son to John, who was raised in hunting and is now trying to mend the fences he broke. I loved this stripped down version because he has the potential to build himself back up into the man he wants to be rather than the man outside forces are causing him to be. I’ve missed that so much! And Dean did, too. I’m also glad that as the episode went on, Bobby seemed to be dealing with Sam better. It hurt me when he didn’t want to be around Sammy. I mean, I understand, because Sam did try to kill Bobby and that’s not easily forgotten. However, Bobby needs to love Sam and remain a touchstone for the Winchesters because they haven’t got many people left who care about them. Bobby’s like a father to them. I don’t like seeing parents hating their children. "That kid went straight-up Menendez on me not ten days ago and now it's all just... erased?" It wouldn’t be a real return to their roots if they didn’t have a case. This time around, it’s about dragons and virgins. Yes, virgins. And surprisingly Dean doesn’t go for them as much as experienced women. But he does go for dragons. Or at least, he’s willing to believe they’re real, despite Bobby’s protests. When their adopted father finally relents and gives them a lead, it seems that he’s got a few secrets buried in his closet, too, by way of Dr. Visyak. I like her and I want to see a return of her character. I’m intrigued by her and Bobby’s past relationship and why he walked away. Dean’s interactions with the Sword of Bruncvik were hilarious. Jensen Ackles can do comedy like nobody’s business. And when he’s not proven worthy enough to extract the sword from the stone, he gets creative and blows it up. Who needs honor when you have C4? But nothing ever goes right when the Winchesters are involved, so instead of getting a nice long blade, Dean breaks it and ends up with a dagger. Close combat, here we come. The dragons were interesting. Instead of full-on creatures, we were instead treated to dragon-men. Their hands of fire were very cool, in my opinion. I’m still at a loss to explain why they needed a whole bunch of virgins to fulfill the ritual when one would do, but maybe the rest were for their own amusement. It doesn’t matter now because Purgatory was opened and Mother has risen. There’s a new Big Bad in town and the boys have got a battle to wage, in between dealing with Not!Dead!Grandpa and Sam’s crumbling wall. Nothing’s ever easy in the lives of the Winchesters. I have to say that I really enjoyed the camera angles in this episode, especially when they are in the car. I have never seen that angle before, it was more intimate and made it seem we were right there in the car with them. 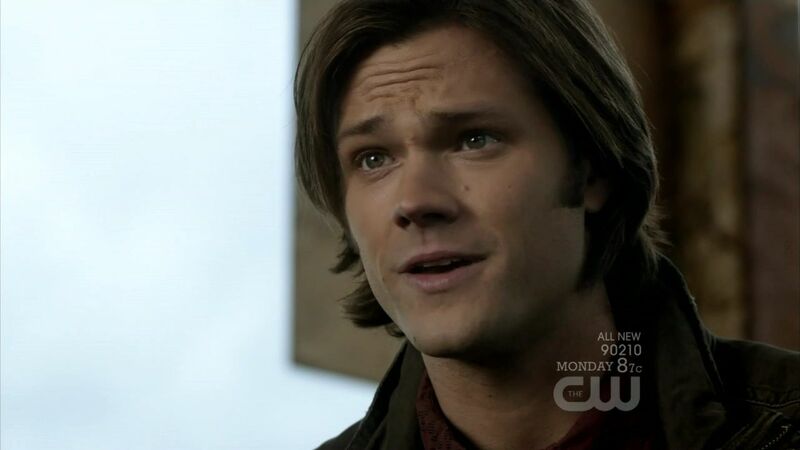 And yeah I have to agree with you, this was Season One Sammy. And I didn’t know if that was the Sam they were going to bring back, but I have to say that I missed him too. And I have a feeling that the wall will come down in the Season Finale right when they battle the Mother. And maybe they have numerous virgins because the Mother can’t be in one version for too long. The body might burn out from all of that power from the Mother. So they bring in another virgin. I think thats why they wanted a stockpile of them. This was vintage SPN from the music to the acting to the comedic stylings of Jensen. I really enjoyed this episode and I am happy that we have a Big Bad for the season. 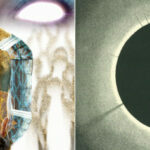 I enjoy the monster of the week, but I like how the whole season means something with the rising of the Mother. I love how they’ve stripped these characters back to their Season One selves. We get back to basics, hunting together as brothers and taking on the world as a team. LOVELY! Thank you kindly :) The boys are back and I am happy!